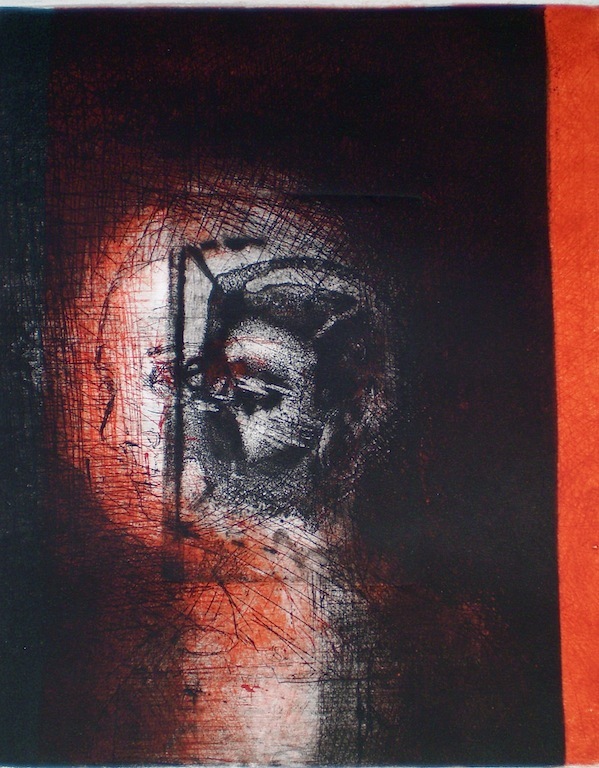 This continuing theme expressed through etching and collage will replace the gouache and mixed media artwork about the topic on my Home Page. 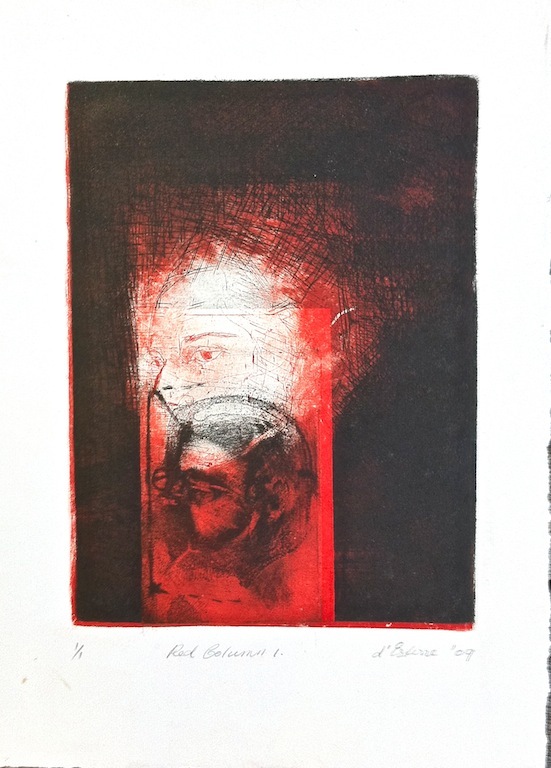 I wonder sometimes if the medium of etching, intaglio, drypoint on rice paper, handmade and printmaking paper seems a more urgent direct, stark way to represent this subject in comparison with oil and gouache painting where the element of colour tends to dominate. With colour taking a secondary place strong tonal contrast becomes the main game. 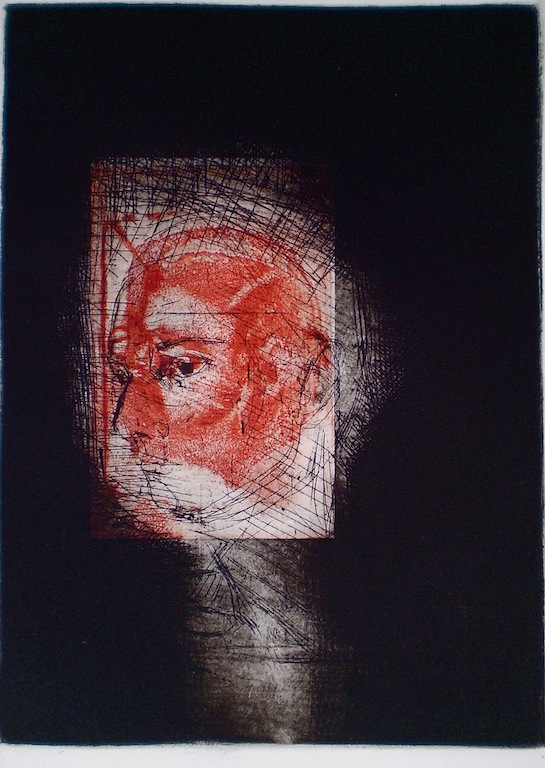 Fault Lines, 2010, intaglio. 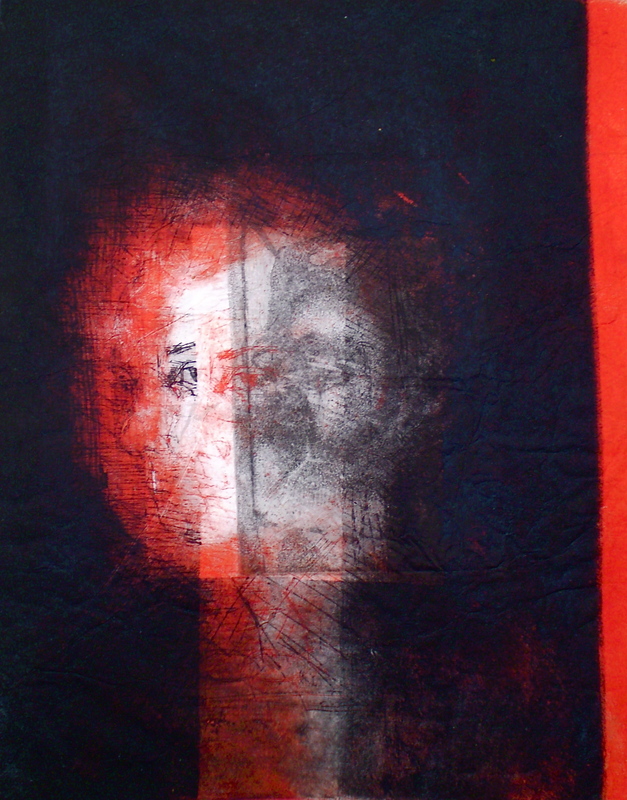 handmade paper, collage and staples 38×18 cm print, 50×35 cm paper. 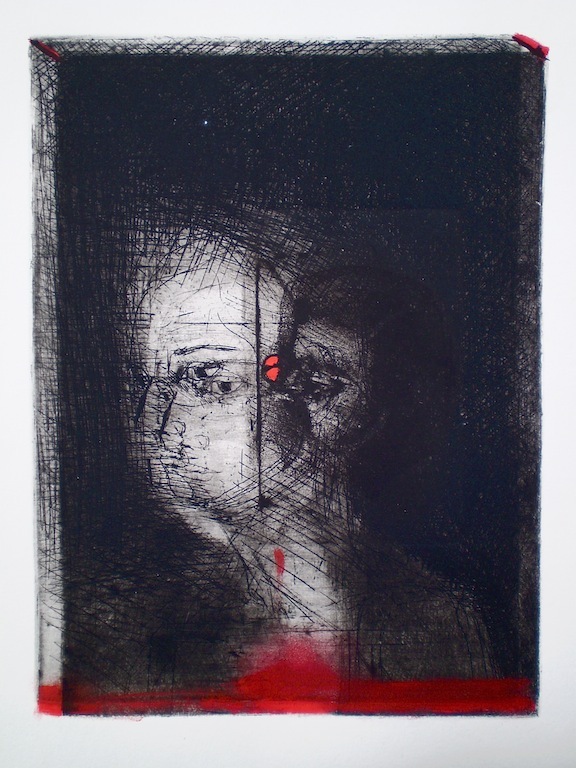 All these images are single, unique one off pieces of artwork. They are not part of an edition of prints. 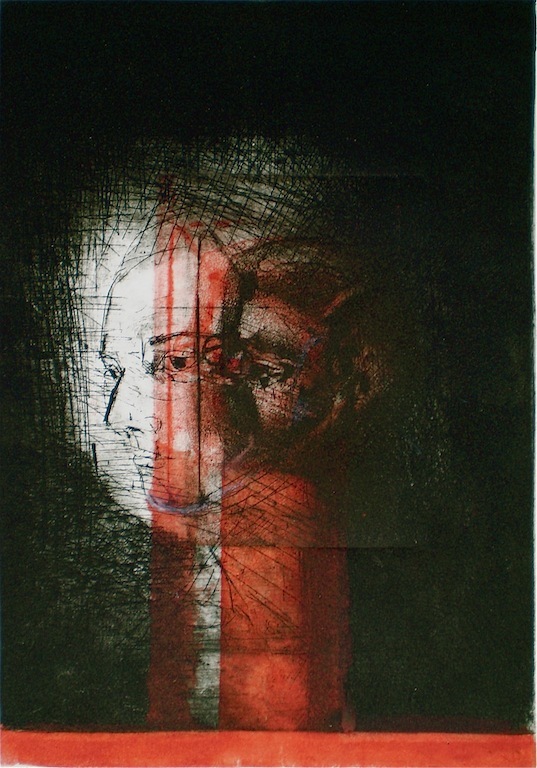 I enjoy playing with one etched plate and then combine the print with different media such as collage of hand made paper, chine-colle on rice paper, ink wash, pen and pencil drawing and also staples. These artworks are part of a series titled Return to Sand and Water. 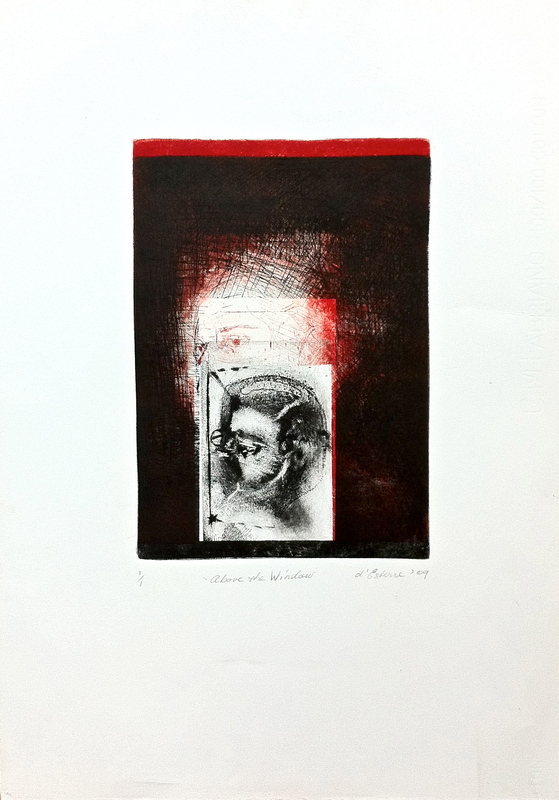 Categories: Mixed Media, Prints | Tags: chine-colle, collage, contemporary fine art, Etching, handmade paper, Intaglio, rice paper | Permalink. 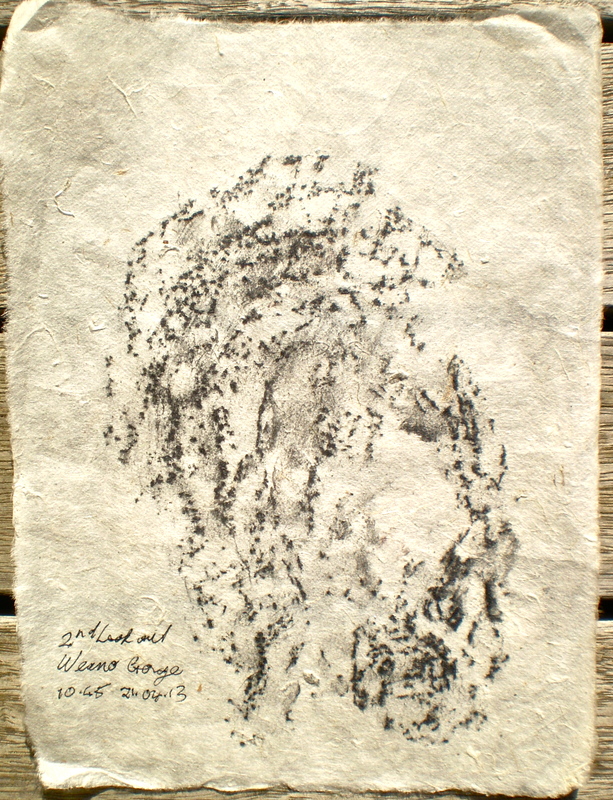 I took several rubbings from different sections of particular gorges. This is my was to reconnect to a place when I paint it later in my studio. Often I adhere frottage or stained paper to the canvas surface by placing it in a gesso solution as part of the under-painting. 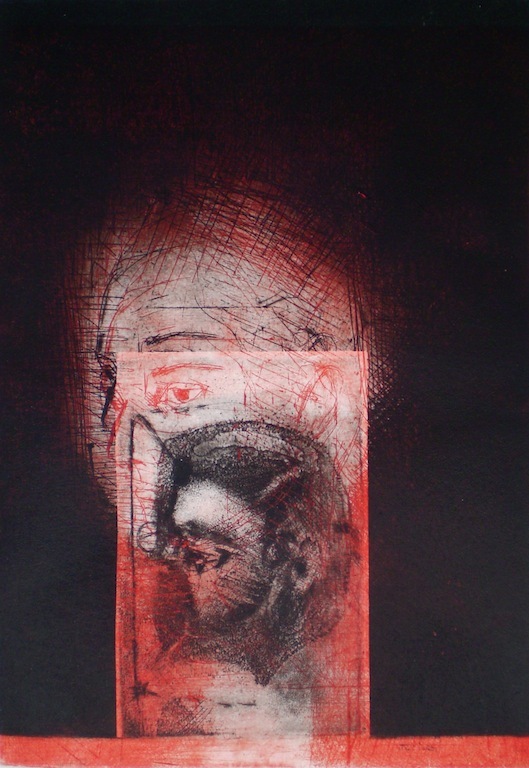 Because the materials are rice paper and graphite or charcoal there is a flexibility that enables me to alter dimensions by folding or tearing the paper to fit the theme and the composition. 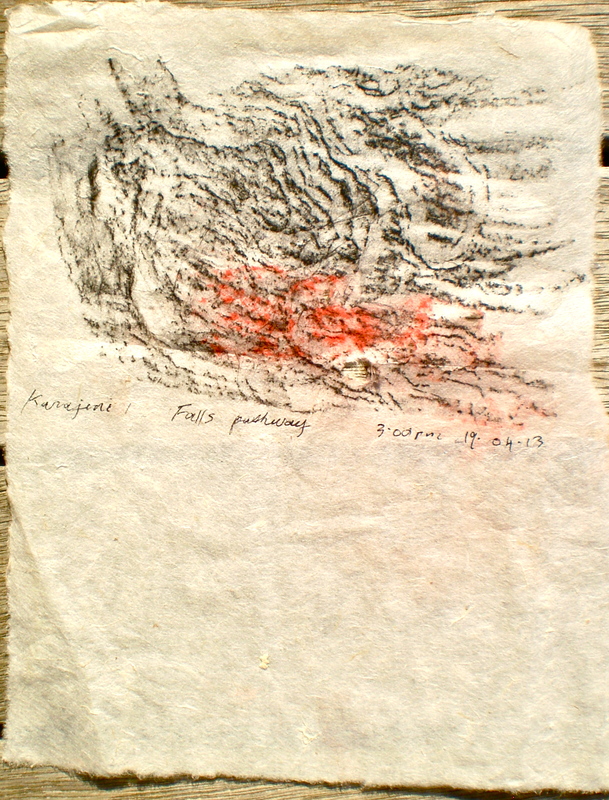 Dales Gorge pathway frottage, 19/04/13, 3.00 pm., graphite and pastel on rice paper. 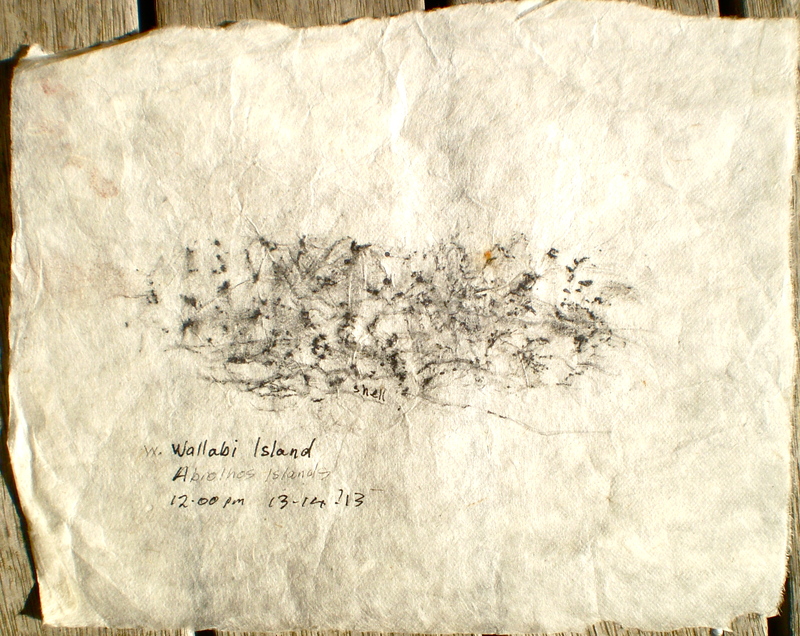 Weano gorge frottage, 21/04/13, 10.50 am, one of the Karijini National Park gorges, graphite on rice paper. 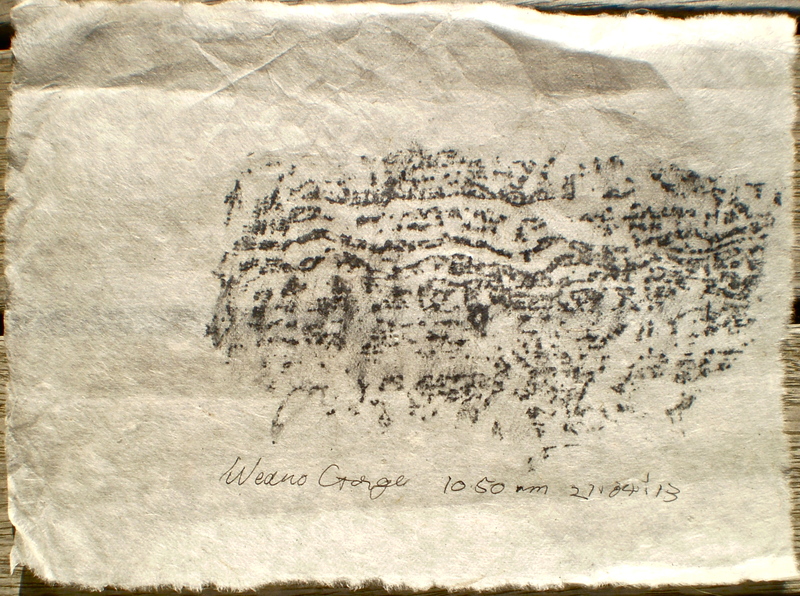 Weano Gorge frottage, 21/04/13, 10.45 am, taken on gorge rim at the lookout, graphite on rice paper. The image below is a mixed media titled Stress Fold, 2004 that is one of a series of images which I titled An Archaeology of Landscape. This previous series consisted of oil, mixed media, gouache and pastel stain and was produced as a result of exploring different sites in the Kakadu and Nitmiluk National Parks in the Northern Territory. Viewers may peruse this series at : desterreart.com.au Stress Fold is an example of how pieces of frottage meld into a larger composition. 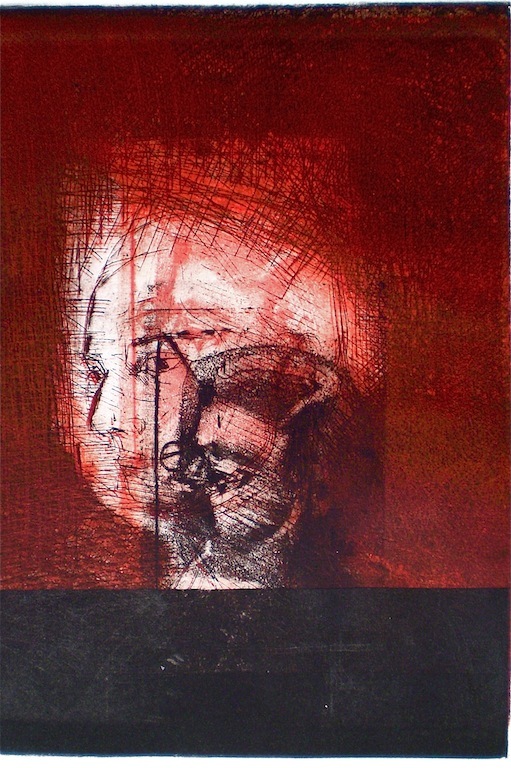 Stress Fold, 2004, paper, pastel, thread, staples and canvas gessoed on to board 200×90 cm, from the series titled An Archaeology of Landscape. 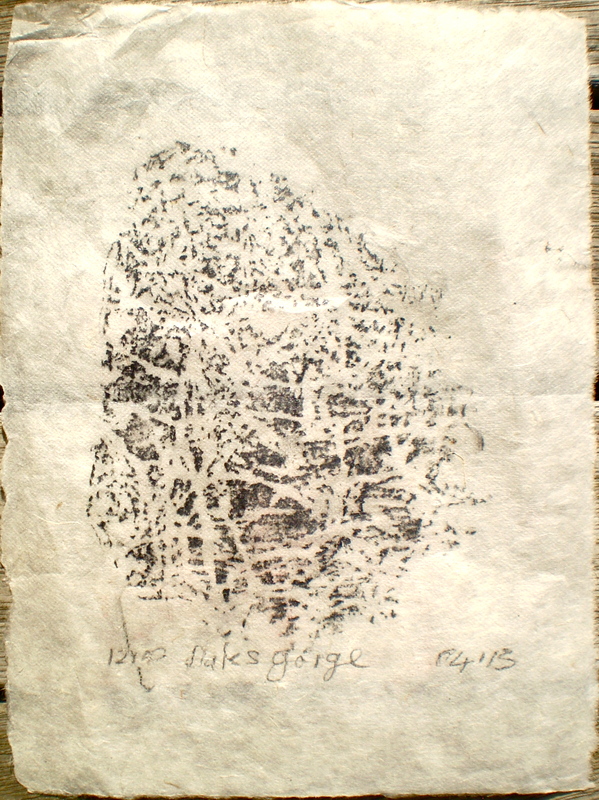 Categories: Drawings, Mixed Media | Tags: An Archaeology of Landscape, canvas, environment art, Frottage, graphite, rice paper, texture | Permalink. One of my activities apart from photographic documentation of different landforms was to make a couple of small frottage prints at a specific site. 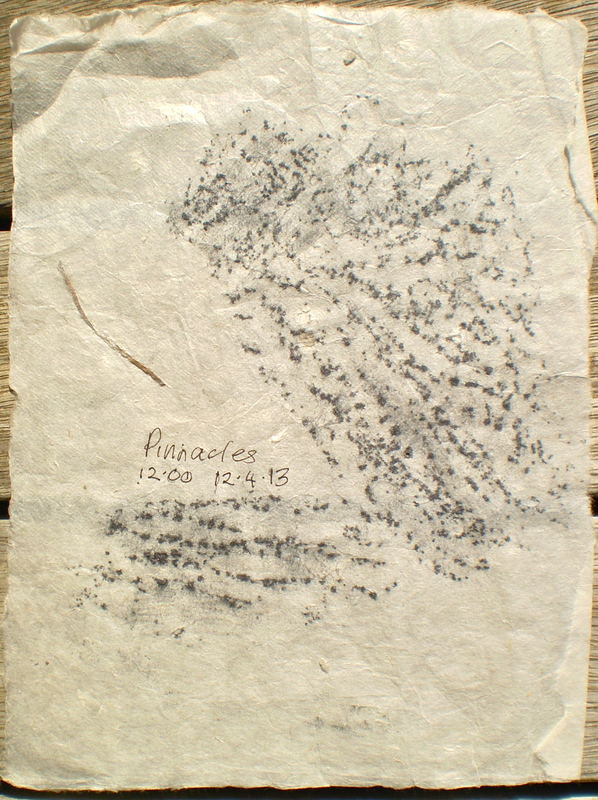 This quick procedure entailed placing rice paper over a specific piece of rock formation and rubbing over the surface with compressed charcoal, graphite or pastel as a way to produce a ‘ print ‘ with place-name, date and time. 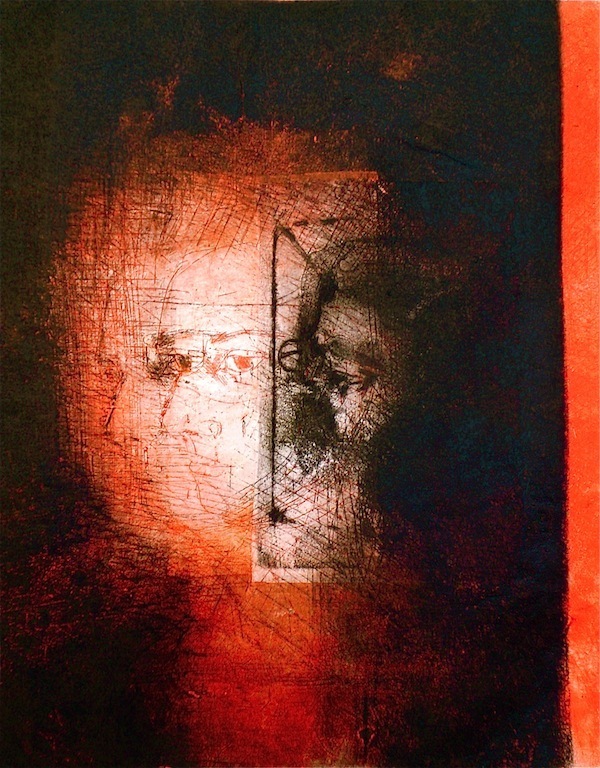 Because my type of contemporary landscape painting and mixed media is not painted on site but produced in my studio these ‘prints ‘ are like a touchstone that can connect me back to the original place when I insert them into a composition. 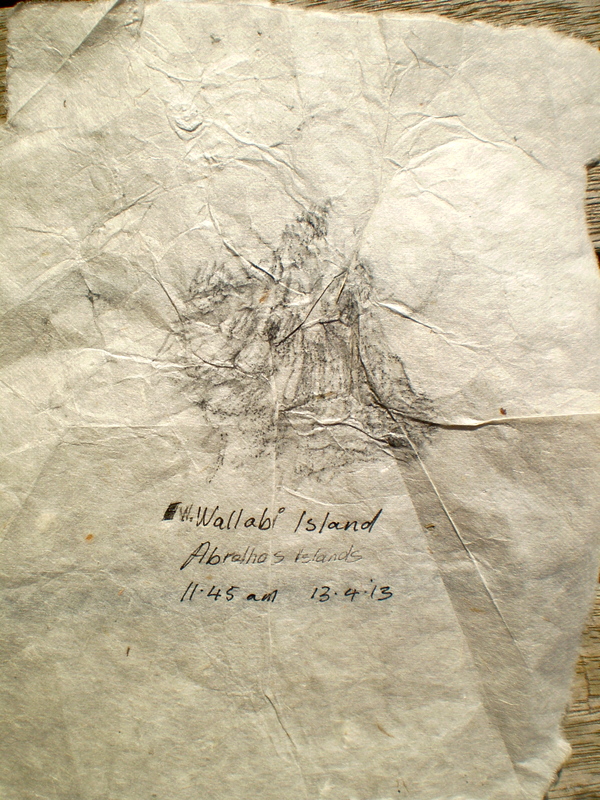 For example I did two frottages or ‘prints ‘ of rocks at the Pinnacles and at W.Wallabi island. 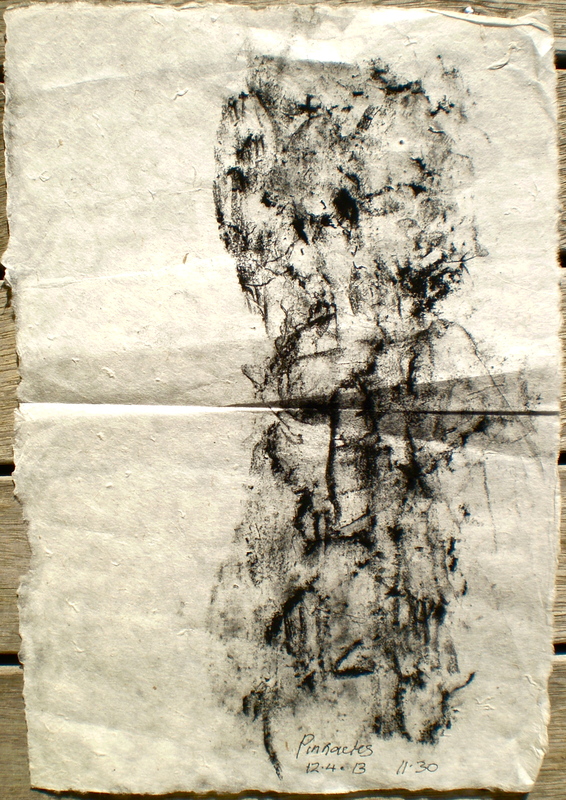 Pinnacle frottage 1 and 2, one in compressed charcoal and two with a graphite stick. on rice paper because it is flexible and durable. 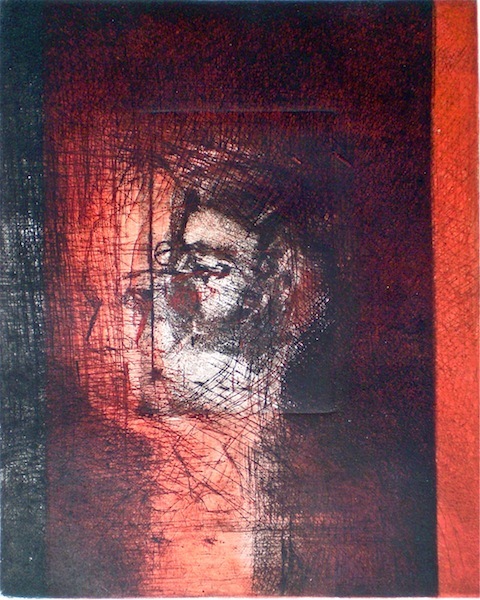 Previous examples of this technique and their application can be viewed on my website at desterreart.com.au in the Gallery under a section titled An Archaeology of Landscape. The two images below are examples of mixed media artworks from the series titled An Archaeology of Landscape produced several years ago as the result of an artist’s tour where we worked in Katherine Gorge and at falls in Litchfield National Park. 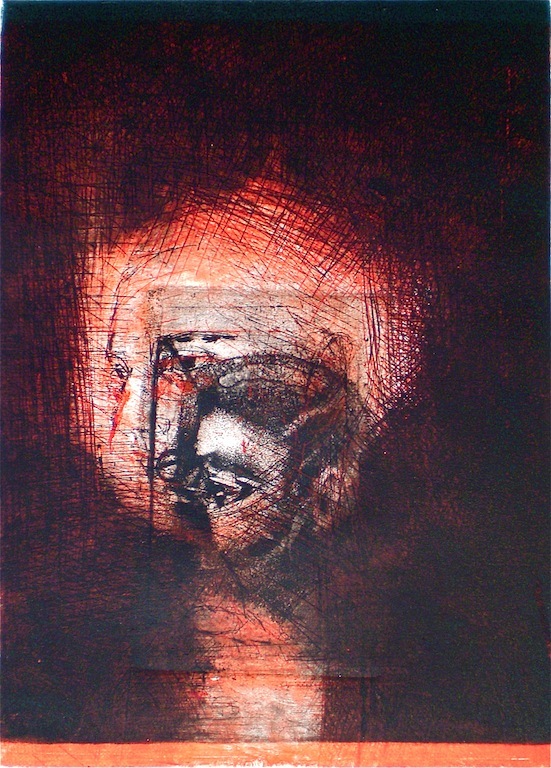 Fold, 2003, 150×78 cm, mixed media from the series titled An Archaeology of Landscape. Categories: Drawings, Mixed Media | Tags: An Archaeology of Landscape, contemporary art, environment art, Frottage, graphite, mixed media, rice paper | Permalink.